March 07, 2018, 9:58 a.m.
Last week was not a good one for the British high street, with the announcement that ‘Toys ‘R’ Us’ and electronics company Maplin had both entered administration. Just a few days later, Mothercare’s share price dropped by 16 per cent after stating its annual profits would be at the lower end of its expectations. In the past, I have discussed brands that have suffered PR disasters, as well as those that have simply lost their appeal with the public as a result of strategic decisions. 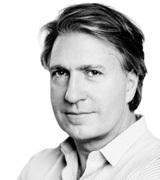 But, in some cases, even brands that are generally well-regarded by consumers can suffer. Many high street retailers currently face difficulties because of external pressures such as import costs, an increase in staff outlay, the public shifting to online shopping, and low consumer confidence. Our brand tracking data suggests that this is the case for Mothercare. Its impression score (whether someone has a positive impression of the brand) among those with children aged three and under sits at a strong 38 points, and has been at this level for a long time. Added to this, its purchase consideration score (whether someone would consider purchasing from the retailer) has also stayed at a reasonably high 29 among the same group. However, its value score (whether someone thinks the brand represents good value for money) currently stands at seven among this group. That this score is so much lower reflects the trend of consumers finding cheaper alternatives online and in the likes of Aldi and Lidl. 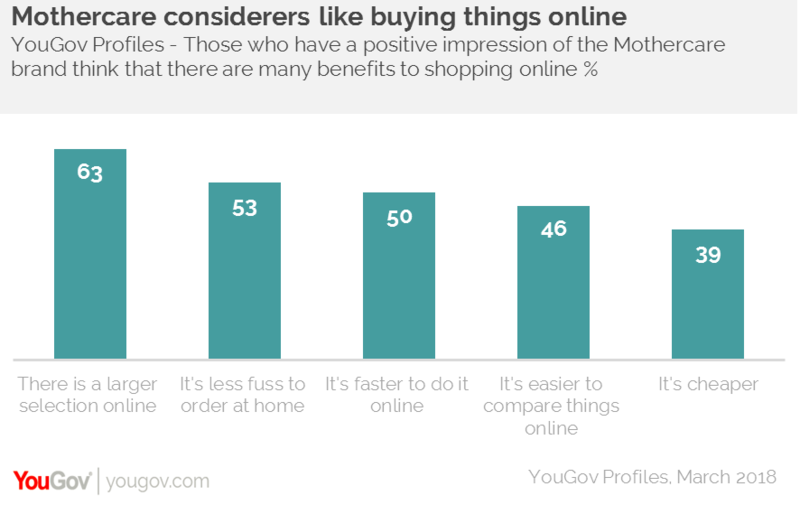 According to YouGov Profiles data, even those who have a positive impression of Mothercare think that it’s cheaper and easier to buy things online rather than going to a store. Additionally, over half (53 per cent) think that it’s less fuss to order things at home, 63 per cent think there is a larger selection online and 39 per cent think it’s cheaper. The retailer has already slashed a number of UK stores in response to the shift to online shopping, which it says currently makes up 42 per cent of its revenue. Many other high-street stores will be forced to consider a similar strategy, as retailers battle to arrest their declines.